Summary: On the afternoon of April 18, Hebi Municipal Party Committee Secretary Fan Xiufang And Mayor Guo Hao and their entourages visited the China Transport accompanied by Jining City Deputy Mayor Tian Weidong, Jining Hi-tech Zone Party Working Committee Deputy Secretary, Management Committee Deputy Researcher Yin Feng. They conduct a inspection on the advanced experience of corporate innovation and development. 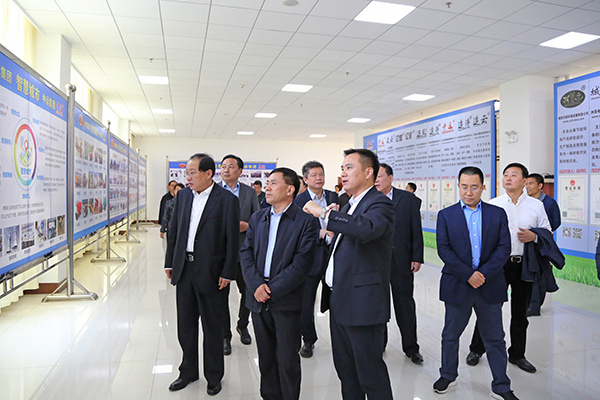 China Transport Chairman General Manager Qu Qing, Deputy General Manager Han Yong, Li Zhenbo, Fan Peigong, Party Committee Deputy Party Secretary Guan Chenghui and other leaders accompanied the reception. 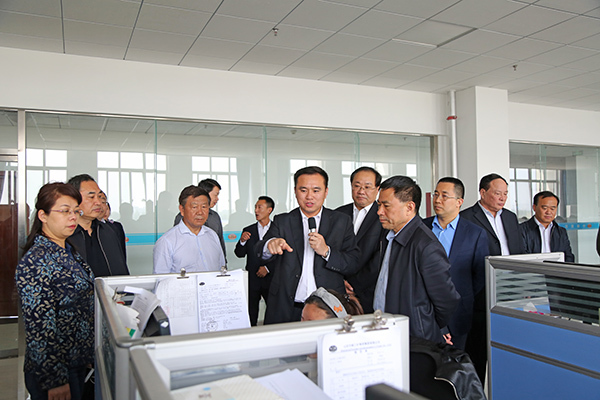 On the afternoon of April 18, Hebi Municipal Party Committee Secretary Fan Xiufang And Mayor Guo Hao and their entourages visited the China Transport accompanied by Jining City Deputy Mayor Tian Weidong, Jining Hi-tech Zone Party Working Committee Deputy Secretary, Management Committee Deputy Researcher Yin Feng. They conduct a inspection on the advanced experience of corporate innovation and development. 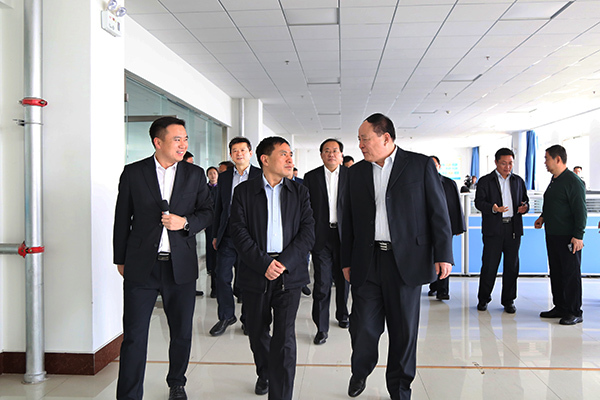 China Transport Chairman General Manager Qu Qing, Deputy General Manager Han Yong, Li Zhenbo, Fan Peigong, Party Committee Deputy Party Secretary Guan Chenghui and other leaders accompanied the reception. 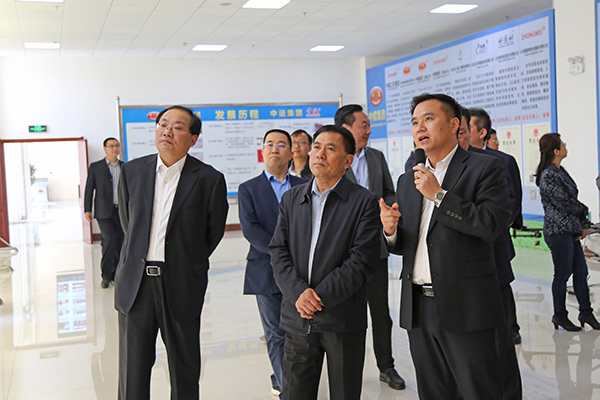 The visiting leaders visited China Transport Office Building, Group Culture Exhibition Hall, E-commerce Company, Cross-border E-commerce Company, Network Information Company, Software Technology Company, Catr Intelligent Robot Company, etc. 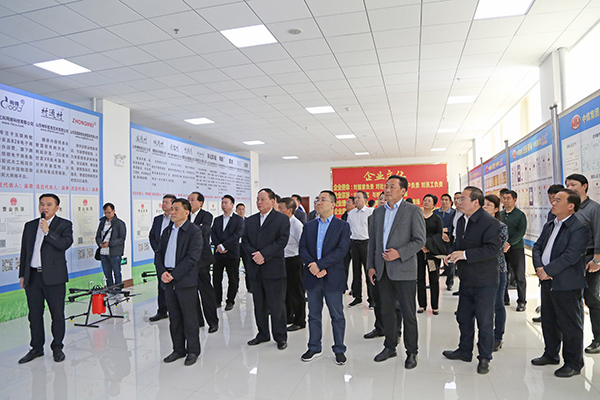 Deputy General Manager Li Zhenbo gave a detailed introduction to the overall development of China Coal in recent years in e-commerce, cross-border e-commerce, smart equipment manufacturing, software R&D, big data, cloud computing and other industry sectors. China Transport was highly praised by the leaders of the delegation. 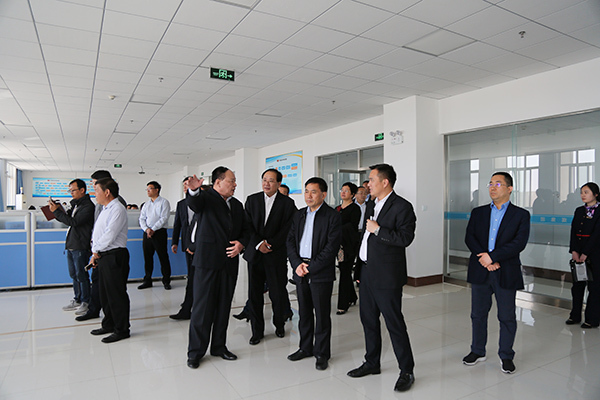 Secretary Fan stated that this visit was to study the advanced experience of innovative transformation and development in Jining City. China Transport as a key demonstration enterprise for the transformation and development of innovation in Shandong Province and even in the whole country, is a model for industrial enterprises in the country to learn and transforms the innovation of enterprises across the country. China Transport has made a good example for the innovation and transformation of enterprises across the country. The next step will support more Hebi large-scale enterprises to cooperate with China Transport. As a pilot enterprise of the integration of information and industrialization in Shandong Province, China Transport has accelerated the conversion of new and old kinetic energy, vigorously developed the e-commerce of the industrial supply chain, and successfully transformed from a traditional sales model to a modern e-commerce sales model, becoming a national enterprise through the e-commerce information industry to boost traditional enterprises. The industry model of successful transformation has been successively evaluated as a demonstration enterprise of the e-commerce integration innovation of the Ministry of Industry and Information Technology, an outstanding enterprise of China's machinery industry, Chinathe integration of information and industrialization Innovation Practice Award, Shandong Province e-commerce demonstration enterprise, Jining City the integration of information and industrialization key demonstration and cultivation enterprise. In order to promote the transformation and development of corporate innovation in the country, it has made outstanding contributions! 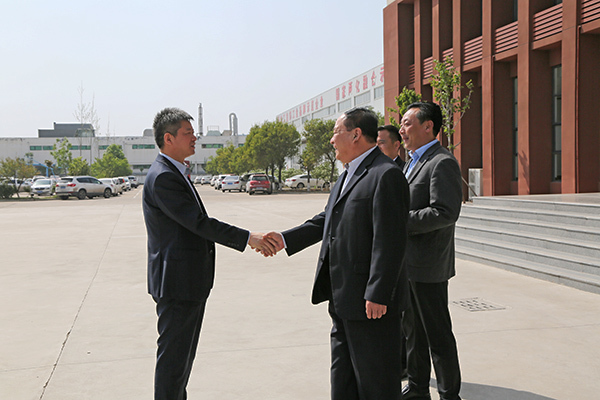 During the visit, Mayor Tian Tian highly praised the Group's diversified global development model. 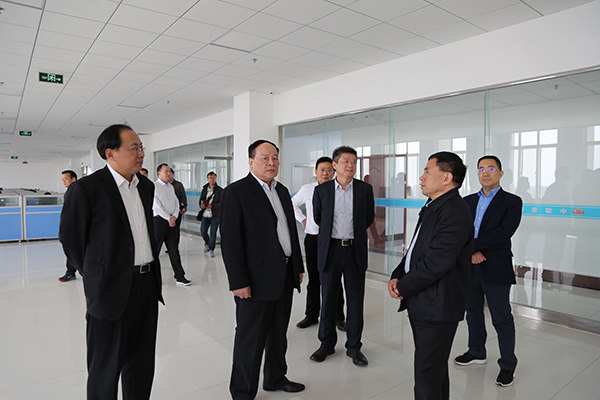 He encouraged the Group to continuously innovate its development model, increase the scale of high-end smart equipment manufacturing, and promote the conversion of new and old kinetic energy through technological innovation to become the nation’s old and new. Kinetic energy conversion model! Chairman Qu said that he was very grateful to all the leaders for their full recognition of the achievements of China Transport's innovation and development. China Transport is willing to share the successful experience of innovation and development with more companies, and explore new models and new developments in the transformation of enterprise innovation in the era of industrial Internet. In the next stage, the China Transport will further increase investment in R&D of science and technology, continue to improve innovation capabilities, enhance the core competitiveness of enterprises, and play a positive role in demonstrating and leading the transformation of enterprise innovation throughout the country!